BRYAN EATON/Staff photo. 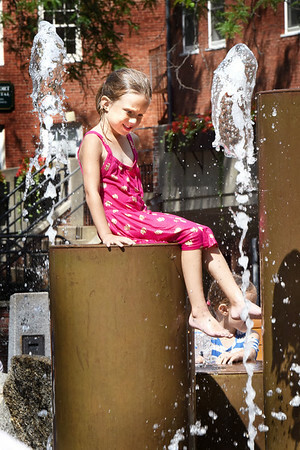 Ella Caldwell, 5, sits on the fountain on Inn Street in Newburyport on a visit with her sister, Cecelia, 7, and grandmother Deann Boulay on Monday afternoon. The fountain had been closed several days due to a minor leak.